valuefuels.co.uk, your local home heating oil supplier who can deliver the same day you place your order, or if you prefer, we can deliver the next day or any other day that best suits you, and did we mention that we're also one of the cheapest home heating oil suppliers in our area? 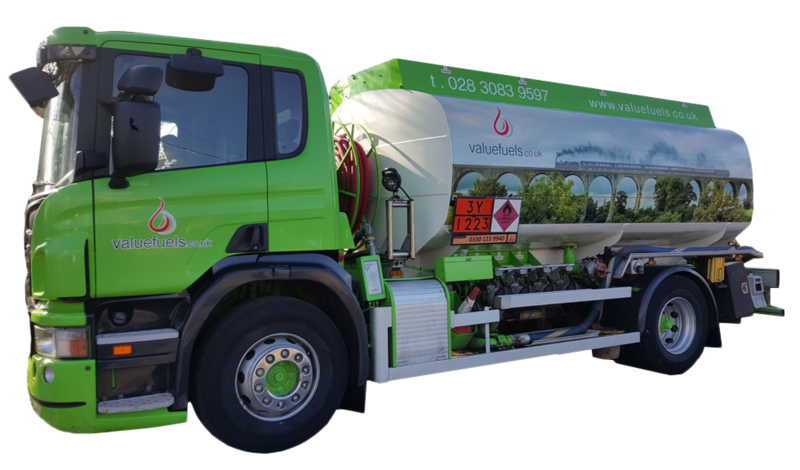 valuefuels.co.uk is based in Co. Down & Armagh and our speedy delivery network currently covers Hillsborough, Lisburn, South & West Belfast, Lurgan, Portadown, Newry, Dromore plus many other areas in and around County's Down and Armagh. For convenience, you can order your home heating oil and pay online or order by telephone. We've been in the home heating oil business long enough to know exactly what our customers are looking for, and so we strive to deliver the best possible all-round quality service imaginable, and with valuefuels.co.uk that's precisely what you can expect, a quality, reliable, all-inclusive service as standard. SO WHY BUY YOUR HOME HEATING OIL ANYWHERE ELSE? We operate within your local community as a completely independent business. We're large enough to easily cope with any amount of customer orders but more importantly, we're small enough to care. The most important thing about our business is you, and that's why quality and reliability come at no extra cost. We're everything you want and need from a heating oil supplier... guaranteed! valuefuels.co.uk is a trading name of First Choice Oil Ltd.